All About Real Estate Is proud to present to the market this wonderful family home surrounded with magnificent gardens on all sides, this tranquil abode is perfect for the family and offers a relaxed lifestyle that is move in ready! Modern, well designed, spacious and practical – everything about this property is designed for comfortable living. On either side of the home are parking options for the vehicles and boats, lush gardens screen the home from the street and add a colourful barrier from the road. Hugging all sides of the home, verandah’s wrap around to showcase the colourful display of foliage that surrounds the home. There are endless spaces to sit outdoors and enjoy yourself no matter your mood. Tucked away in the corner is a spa where the kids can splash or the adults can relax. There is a veggie patch in the back corner where the kids can grow their own. Inside the home is a large living room with tiled flooring and split A/C along with bays of louvered windows that let in the soft dappled light filtered from the verandah’s and gardens outside. The dining room sits adjacent to the kitchen which has been modernised to include a pantry, overhead storage and built in wine rack along with dishwasher and more. Further into the home is a large internal laundry room followed by a spacious main bathroom which has also been modernised. 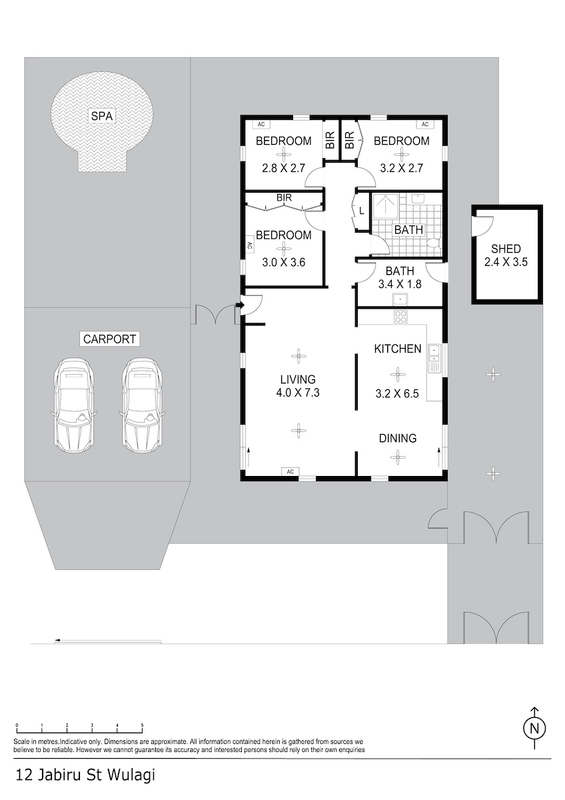 Three bedrooms each include built in robes and A/C along with bays of louvered windows. Back outside there is a built-in shed / workshop plus a garden shed as well. The gardens though flourishing, won’t take up a lot of your time to maintain, they are established and irrigated making it easy to keep them looking amazing year-round. The home is located close to Casuarina and the CDU along with the RDH and Casuarina beach making the location ideal for the family or couples alike.